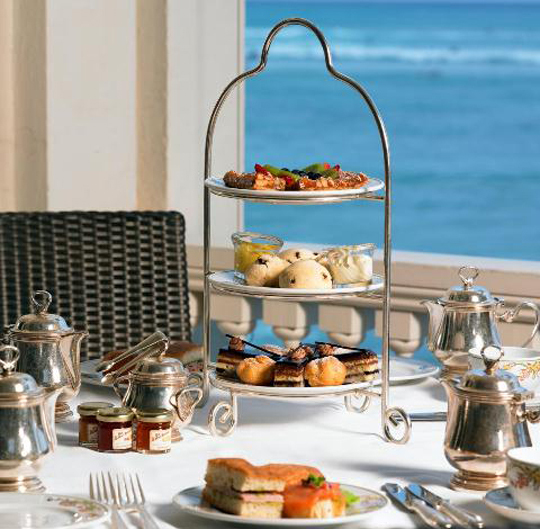 High Tea Society revelled in taking high tea in paradise on the glorious Veranda of The Moana Surfrider Hotel - A Westin Resort & Spa, right on the sands of Waikiki. Titled ‘Afternoon Tea’ here, it has been a daily tradition since the turn of last century. 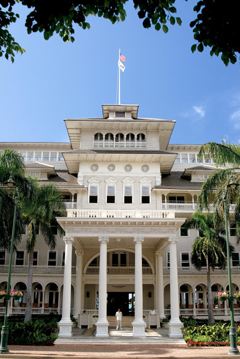 Upon arrival, even at the front door, it seemed impossible to think that tea itself could live up to the setting: a jaw-dropping Colonial palace, sitting smack-bang on one of the world’s most beautiful beaches. 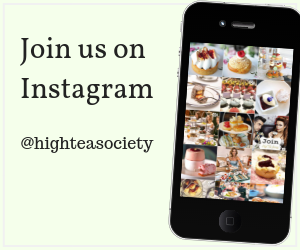 However with refreshments, live ukulele music and service just as lovely as the surrounds, this tea-time was a pure ‘pinch yourself’ occasion. Wandering outside, we were escorted to our table on the breezy balcony (The Veranda), with views across the courtyard to the ocean. While taking in the magnificent white sands, the paddle boarders on aqua waters and the beautiful Banyan tree shading us, we perused the menu. Settling on the ‘First Lady’ tea service, our lovely ‘server’ (an American term), resplendent in white gloves, presented us with eight different leaf teas for the table, along with lovely sandalwood fans to keep. Our food selection comprised of a serve of delicious Maui onion soup, a plate of assorted finger sandwiches, three tiers of delicious sweet treats, then fresh strawberries with crème fraiche, a scoop of sorbet, and a glass of sparkling dry Californian rosé to finish off with. Sandwiches – I was thrilled to see smoked salmon on rye (always my favourite), curried chicken on croissant (a formal take on traditional Hawaiian Chinatown favourites-‘Manapua’), and Virginia ham with mustard. 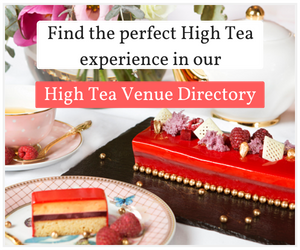 Also featuring were warm scones with lemon curd, preserves and clotted cream, chocolate opera cake, mango cream profiteroles, and macadamia nut florentines. Sorbet – Kafir-lime and lemon grass sorbet accented with green tea- sublime. 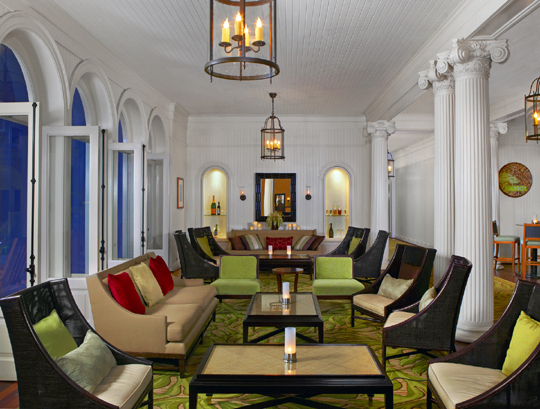 Tea – Tropical custom tea blends by The Tea Chest are accompanied by the Moana’s collection of fine traditional teas. Our two favourites were: Jasmine phoenix pearls: powerfully aromatic, hand-rolled tea with sweet jasmine petals from zhejiang province. It was beautifully dry and flavoursome. Moana Sunset: The Moana’s signature blend is “an alluring Hawaiian duo of tangy ‘Ohelo berry and sweet mango”. Each sip reflected the divine pacific setting, as well as complemented the tropical tones in the sweets. 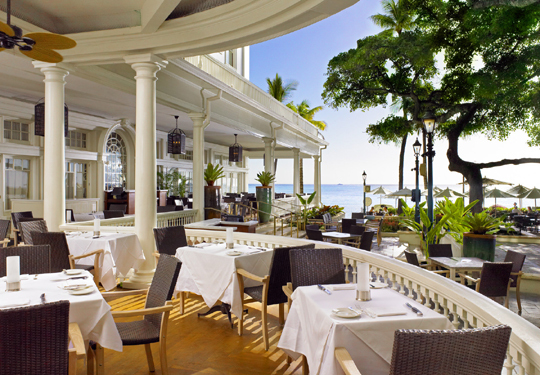 High Tea at The Veranda at the Moana Surfrider is nothing less than stunning. 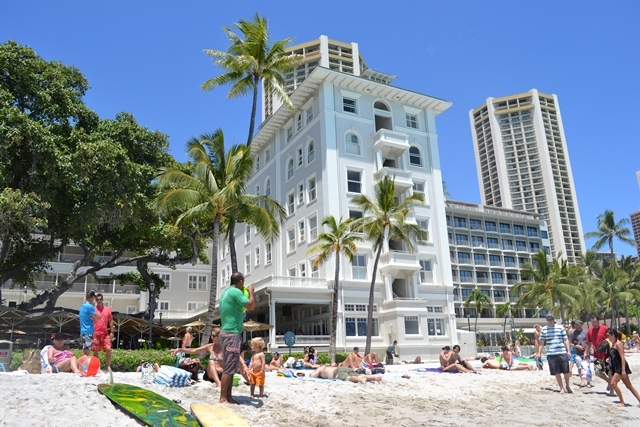 It is one of those experiences that on a picture-perfect Hawaiian day is a treat for ALL the senses. At US $48per person, it is also good value. For those less hungry, the Moana Classic Tea Service is available for US$32.50 (minus the fresh berries and the rosé). Memories are made of afternoons like these, along with plans to return…Mahalo (thank you) to the Moana! 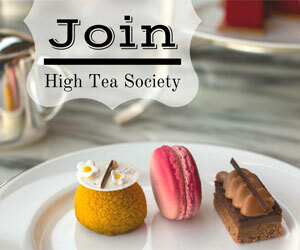 Afternoon Tea Daily from 12pm- 3pm. At US $48per person, it is also good value. For those less hungry, the Moana Classic Tea Service is available for US$32.50 (minus the fresh berries and the rosé). 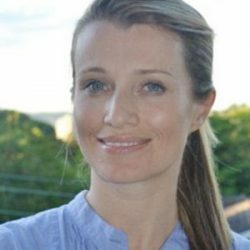 Edwina is a freelance writer and PR professional living in Sydney Australia.